March 19 is National Quilting Day! Saturday March 19th is National Quilting Day! We’re celebrating by sharing our best quilting tricks, tips, tutorials and throwing in a little giveaway at the bottom of the post! 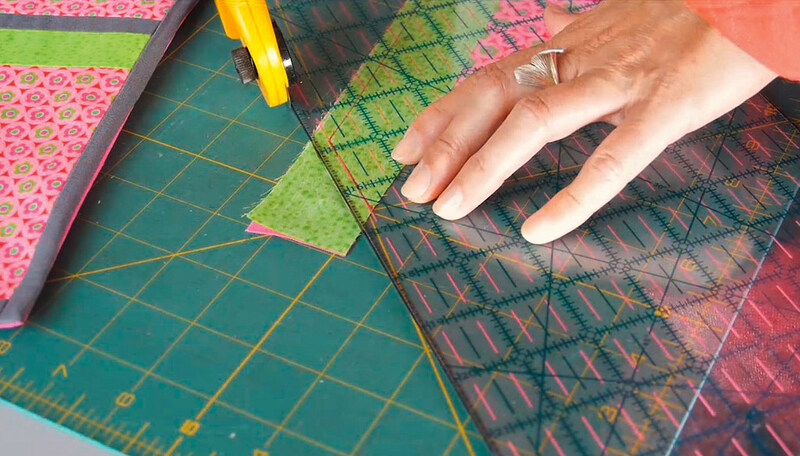 These are some of our most favorite little quilting tricks that help you keep on stitching. Before getting ready to quilt, wind several bobbins full of your bobbin thread. This way you won’t have to stop quilting to wind bobbins when running out! Always put a pin in the upper left hand of any block or row. That way, if it should fall out or get turned around on the ironing board, you always know which way is up. 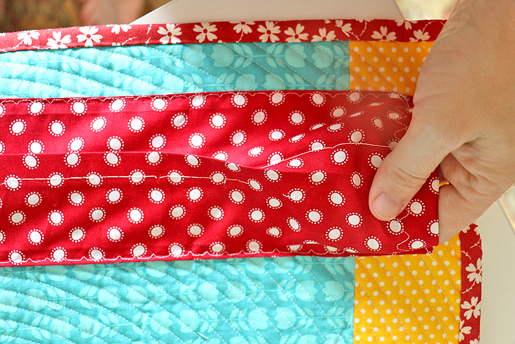 Use a seam/quilting guide to easily stitch parallel lines. Stitch the first line of quilting. Set the guide the desired space between the stitched lines. Position the guide on the previous line of stitching as you sew a new line. Learn how to make a super simple quilt hanging sleeve almost entirely by machine in this tutorial by Lee Heinrich from Freshly Pieced here at WeAllSew. In this four-part free-motion quilting series, Megan Bohr of Canoe Ridge Creations shows you how to create four distinct designs; Loop DeLoop, Waves, Ripples, and Squares. 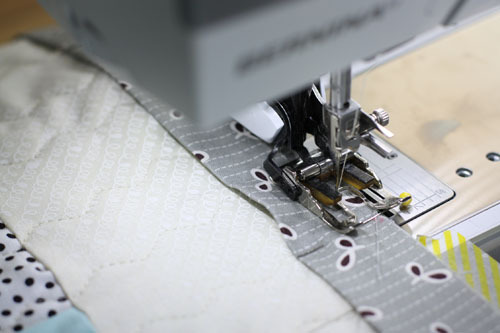 This simple tip can help with more accurate piecing and cleaner looking stitches when free-motion quilting. Get this great quilting tip from right here at WeAllSew. A beautiful patchwork quilt starts with accurate quilt piecing techniques. 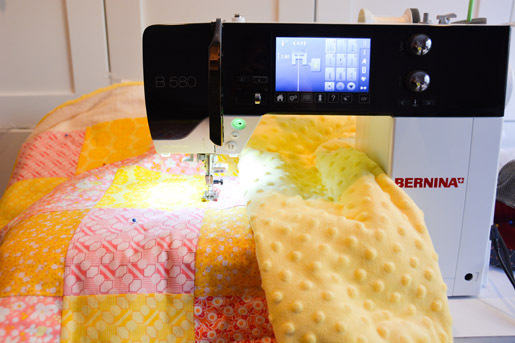 Learn tips and techniques for successful piecing every time in this free eBook from BERNINA. 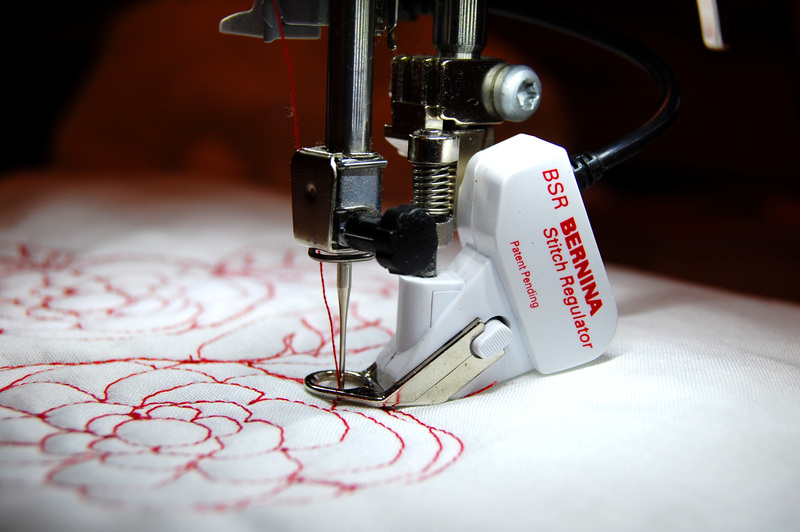 The BERNINA Stitch Regulator (BSR) provides beginners with the confidence to master increasingly popular free-motion techniques. For more experienced free-motion stitchers, the BERNINA Stitch Regulator offers the added security of consistent stitch length, providing the confidence to try more challenging techniques. Learn all about using the BSR in this free eBook from BERNINA. A practical and sturdy way to finish edges, binding also subtly adds to the style of sewn items when it is a contrasting color, interesting print, or sewn with a decorative stitch. Along with quilted items, bias binding can be used in garments for edge finishes, ties, laces, and straps. 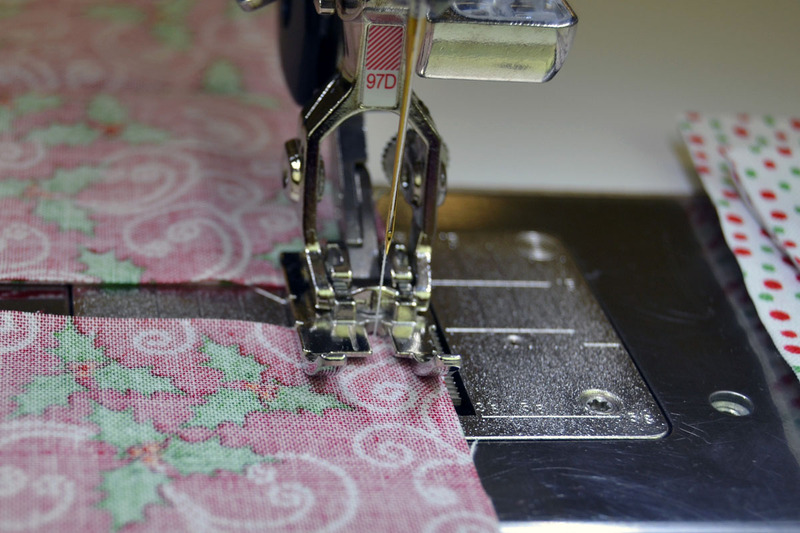 See how to achieve binding success using various BERNINA accessories in this free eBook. 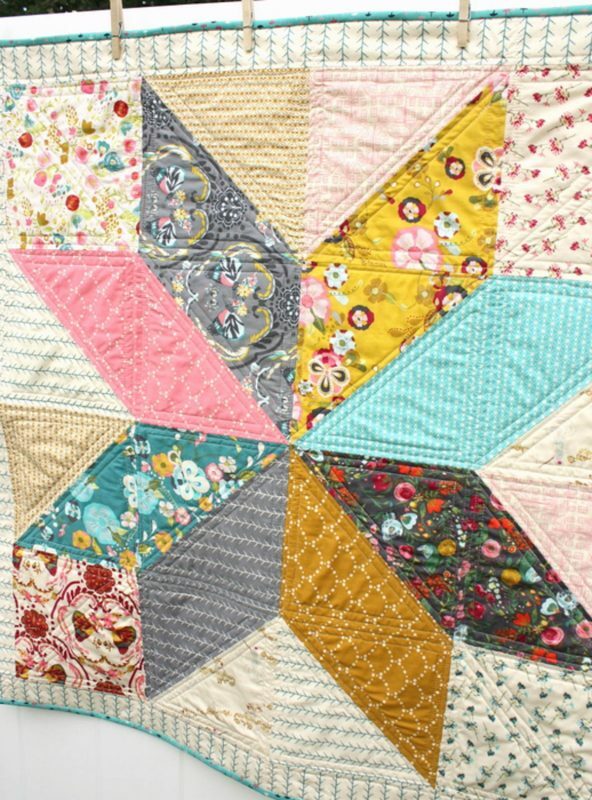 Amy Smart of Diary of a Quilter leads you through all the steps of making a Lone Star Baby Quilt, a great project for a new quilter. Follow along with artist LUKE Haynes to learn really nice way to combine some piecing with an easy appliqué. Taking a basic half square triangle pattern and adding an appliqué on top makes a nice keepsake. 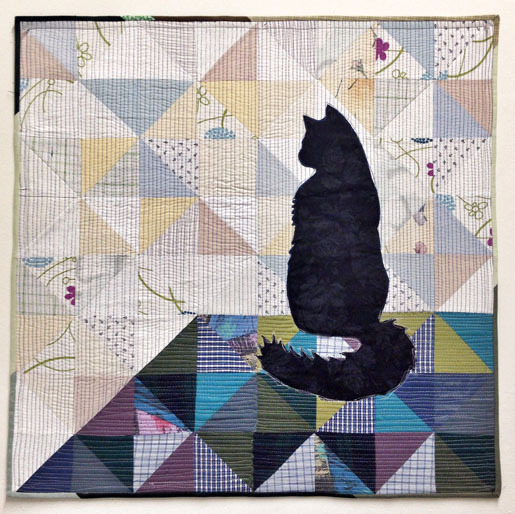 Find the Silhoucat quilt-along here at WeAllSew. 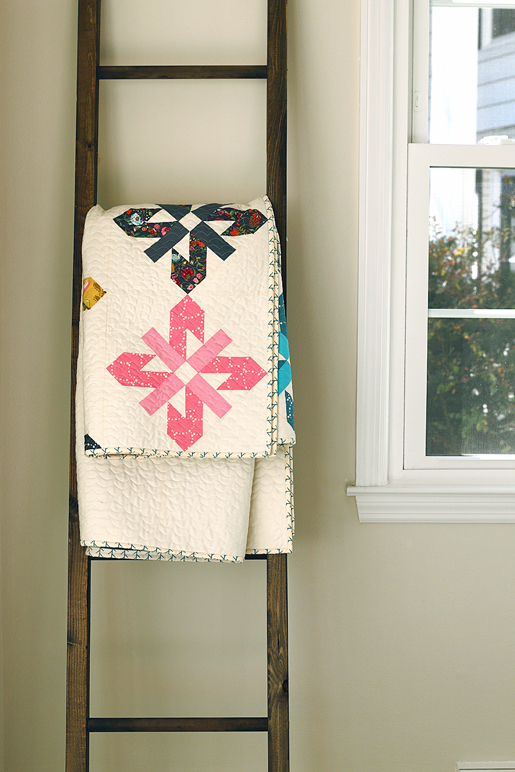 Quilter Lee Heinrich of Freshly Pieced shows you how to piece this stunning Chandelier block, and make a finished 60″ x 60″ quilt. Find the Chandelier Quilt-along right here at WeAllSew. 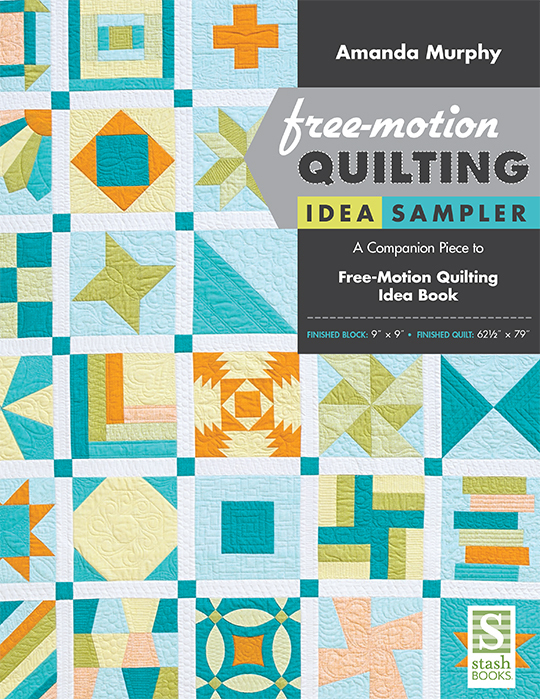 Our gift for one lucky WeAllSew fan is a copy of Amanda Murphy’s book, Free-motion Quilting Idea Book! What kind of quilting techniques or projects would you like to see more of at WeAllSew? A winner will be chosen at random on Tuesday, March 22nd, best of luck to you and happy quilting! Congratulations to WeAllSew member 1637crystal, you are the winner of the Free-Motion Quilting Idea Book! I would love to see posts on using Minky as backing for a quilt, specifically on a larger quilt where you have to seam the backing and how to add a traditional binding to a Minky quilt. Loved today’s post! I would love more baby quilts. I’d like to learn to quilt them on my standard machine. I think WeAllSew’s content is perfect the way it is! There’s something for everyone. I would like to see more quilting using the embroidery module. I already like the mixture of ideas on WeAllSew. Can’t think of anything I would like changed. Thanks for all the inspiration and the great giveaway. I would love more miniquilts that feature different Bernina feet! would be fun! Thank you for all the great posts and the giveaway!! I thought today’s post was great, especially seeing some of the existing Bernina resources available. I’d like to see more project posts, especially those that are geared towards beginning and intermediate sewists and not related to garment sewing. Technique postings too are interesting to me. New bernina owner and new to this site love everything l am learning.Your site is awesome with all kinds of things to try and new ideas . Thank you so much , this is amazing. I’m also a new Bernina owner and this site has provided a number of projects, tips and techniques that I’ve put to good use! Thank you to everyone that has contributed. The tips and ideas are truly inspiring! I would like to see different ways to use the walking foot when quilting. I would love to see more ideas for using the BSR (Bernina Stitch Regulator) for free motion quilting. I would love to see more posts on using minky or double gauze as backings and what to use as batting in those cases. Thanks! I really enjoy the projects and tips featured on WeAllSew. Additional posts on using the Bernina feet would be great. I love my Bernina! I enjoy the projects and tips related to garment sewing, wonderful ideas. Very much enjoyed the recent Anatomy of an Art Quilt series! The more I can learn about feet, the better. Today’s topics are good. Hope to have time to watch them all. Ideas for bindings using the sewing machine totally. I would like to see more project that use precut fabrics. I would like to see some alternative quilting, i.e. fibre art and 3d embellishments! Thank you for always posting interesting ideas. You are an inspiration! I love all your ideas. Would love to see more suggestions on how to bind your finished quilt. Binding really mades or breaks a quilt (of course the quilting does too). I always enjoy different ways to use my Bernina feet during the quilting process. I would like to see more things that a child could make and that is easy. This is a great idea! My granddaughter is learning and finding things that interest her (simple and short) is sometimes challenging. I am thankful for all topics and would be very interested in more beginner embroidery projects. I love to see tutorials with basic skill refreshers. I’ve been quilting off and on for 20 or so years, but feel my skills are rusty so any refreshers are always appreciated. Thank you!! Thank you for this tutorial. Am anxious to put this into use. I am a very new newbie, so this will satisfy my learning needs for now. I enjoy this site and different learning/crafting opportunities. I would like to see some tips on how to use the features on my machine with small projects geared towards highlighting a specific function. I am interested in quilting techniques and tips for home sewing machines. Free motion quilting is something I would like to do more often. I like quick projects, but I also like learning different functions and feet and stitches on my machine. I really appreciate tips that make projects turn out better…like sticking at 90 degrees when leaving an opening for turning something…makes the tucking of the opening that much easier. Love this blog…thanks for all you share! I would like more information/projects using the BSR. A project using the alphabets on the 750 machine. I’d like to learn more about the various feet and how to use them, as well as more tips on machine stitching around the edges of appliques. Thanks!! Would love more tips on using charm packs more effectively, especially around where the seam and cut allowances start and end. I would like to see more SIMPLE quilting designs that can be done without the BSR. I would like to see a tutorial on backing and quilting with Minky. I am interested in quilting techniques and tips for home sewing machines. I love FMQ and love seeing new ideas and designs. I love everything y’all show on here so keep up the great work!!!! I check this page everyday, and find great ideas. What I need is to find more time to play with them. Therefore, you don’t need to change anything, I need to change. Thanks.